If you desire to grow your natural hair healthy and long, heat straightening it is not a good ideal. Once a year is okay. But even then it depends on the amount of heat and techniques you use. Stay away from Dominicans salons. Stay away from any heat straightening service which uses heat higher than 410 degrees. Lots of naturals are ending up with irreversible heat damage, due to wanting straight hair. Some naturals become frustrated with their natural coil. They think that putting a texturizer in it will turn their type 4 hair into type 3 hair. They desire to loosen their curl slightly. A texturizer is just another word for relaxer. You are putting the same chemical in your hair. It is also permanent. Texturizers rarely give people the results they desire. They are unpredictable. The average natural who texturizes their hair, ends up big chopping again. In most cases you will end up with breakage and thinning. Think long and hard before making this permanent choice for your hair. FIND OUT WHAT RELAXER CHEMICALS DO TO YOUR HAIR. Some naturals use baking soda on their hair to soften it or help to relax their coil. Baking soda is very damaging to your hair. It is abrasive and will lead to damage. It roughs up your hair cuticle and will turn your normal porosity into high porosity in just a few application. Never use baking soda on your hair. Scraping a brush through your hair wet or dry, roughens up the hair cuticle. Brushing on a consistent basis will lead to damaged hair. Hair will become weak and easy to break. Finger combing is best for your natural coils. Going natural but consistently covering your hair in fake hair is one of the worst things you can do to your natural hair. Fake hair dries your natural hair out. It also makes people really lazy about taking care of their hair. In many cases you are not washing your hair weekly when you have braid extensions or a weave. Your hair becomes dry from the fake hair then dehydrated due to lack of hydration. Those two issues lead to breakage and excess shedding. Using extensions on occasion is okay. Wearing extensions for more than 6 months out of the year is not a good thing for a healthy hair regimen. Hair grows best on a clean scalp. If you are having issues with slow hair growth the first thing to examine is your wash regimen. Hair must be cleaned often. All hair no matter the type get dirty daily. Lots of people with slow hair growth have clogged hair follicles. Clean your hair twice a week or no less than once per week. Washing your hair only once every two weeks or once per month is not a healthy practice. 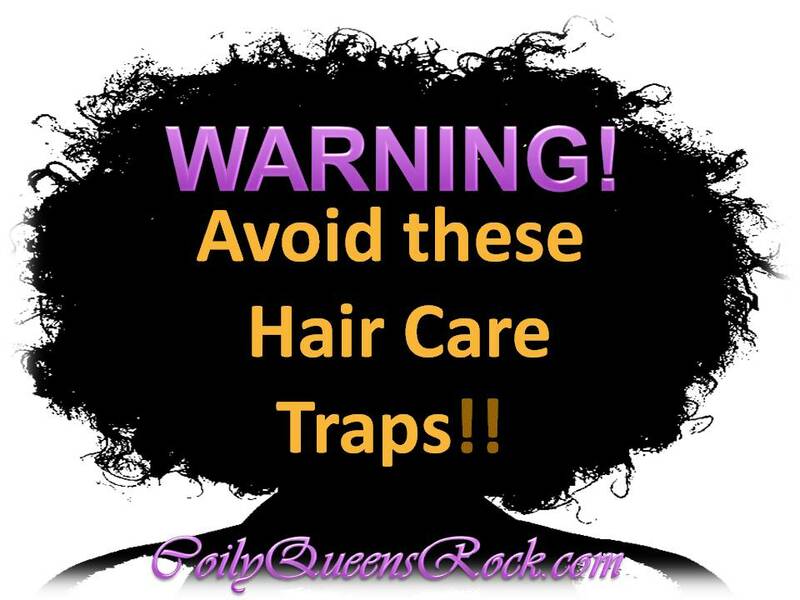 The biggest mistake you can make is not having a consistent hair care regimen. No matter what your goal is in life, you need to have a plan, a guide. If you want to have long healthy hair, you need a good hair care regimen. If you are lost and do not know where to begin, then you would benefit from hair growth coaching. These are great tips, thank you. I messed up my natural hair with a texturizer, and I only left it in for about a minute on each section. I only wanted to loosen it up s bit, csuse it was unmannageable.Now I wish I never did it.